If you’ve been thinking about arranging for an auto title loan in Mesa, Arizona, we are the pawn shop store you should be working with, because we have a reputation of providing the very best payouts to our customers, while providing the best customer service in the process. We’re also well known for being very accommodating and flexible with all our loyal customers, so as to encourage repeat business, and to earn your trust and confidence. Rather than drive to any of the nearby communities like Tempe, Chandler, Phoenix, Scottsdale, Apache Junction, or Gilbert, just set your GPS for our store in Mesa, Arizona and bring all your pawn shop business to us. If you need to generate a significant amount of cash quickly, traditional lenders simply can’t handle that kind of transaction, and you’re better off not even wasting your time with them. We can put a good amount of cash in your hands through an auto title pawn loan, while you retain ownership of your vehicle, as well as the right to drive it around wherever and whenever you want. What could be better than that? You get money for your car, and you get to keep the car the whole time that you’re paying off the loan! All of our auto title pawn loans are set up through Phoenix Title Loans, LLC, and they are a company which we have partnered with because they offer the most competitive rates in the entire region, as well as having the best reputation as an auto title lender in the area. Even if you still owe money on your vehicle, we may be able to help you with a loan, because we might be able to pay off those last few installments, and fold that amount into the title loan agreement which we arrange with you. Getting an appraisal on your auto title loans is a quick and simple process, but there’s lots of ways that can make the process even easier for you. This would be using our online chat down at the bottom of the screen, or filling out our Online Title Loan Application. In many cases, this allows us to pre-approve your loan and send you to the right location for your cash. This also means that when you actually arrive at our location, we can already have the paperwork ready to go so that all you have to do is sign away and you’re good for your thousands of cash. If you decide to just stop by in person, that’s fine too and encouraged! Our appraisal process starts with our associate asking for details about your vehicle such as year, make, model, and mileage, one of the most important factors. Next she’ll ask how much money you’re looking for, and right off the bat we’ll be able to tell you whether or not it’s doable for us. Should everything be in order here, we’ll go and take a walk around your car. At Alma School Pawn and Gold, we consider all metrics such as both interior and exterior quality, running condition, and how it sounds. Many other shops simply walk in a circle with you and just give you cash, we take a much more thorough approach. Should everything be in order with the car, we’ll go inside and fill out some paperwork. In less than fifteen minutes, you’ll have some cold, hard cash in your hand. 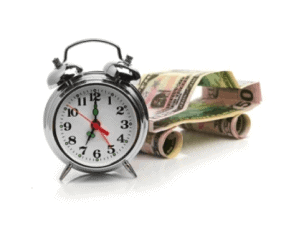 Going forward, you’l come to us monthly to make your payments or pay off your auto title loan altogether. Alma School Pawn and Gold boasts the lowest interest rates, lowest monthly payments, and highest amount loaned with our Mesa Title Loans. There’s only one place you should choose to turn when you’re in need of fast cash, especially because you can keep your car as well! How Do My Payments Work Each Month? Each month of the loan period, you would then pay an amount equal to at least the interest for that month, and ideally the principle amount as well, so that you can progress toward a zero outstanding balance. You may have tried to secure an auto title pawn loan through other pawnbrokers in the area and were perhaps turned down, but we make loans that other pawn shop stores simply can’t handle because of our volume of business. We will also give you the option of storing your vehicle on our safe and secure lot for the duration of your auto title pawn loan, and that will entitle you to a significantly reduced loan rate, because a certain amount of risk has been removed, and that makes it financially more sound for us. We can also arrange for auto title pawn loans on old vintage cars that you may have in the backyard, or maybe even expensive collectible sports cars like Ferrari, Lamborghini, or Lotus cars. Whatever kind of vehicle you have to use as collateral, give us a call at your convenience, or better yet, stop in and see us so we can get the ball rolling on your auto title pawn loan in Mesa, Arizona.